This is perhaps the best time in the history of the RV industry to purchase an RV. You can get a great deal on an RV right now, but the problem is since the banking industry and bailout crisis RV lending is more difficult to come by. Several banks and key RV lenders departed from the RV industry completely while others are waiting and watching to see what will happen with the government bailout funds. 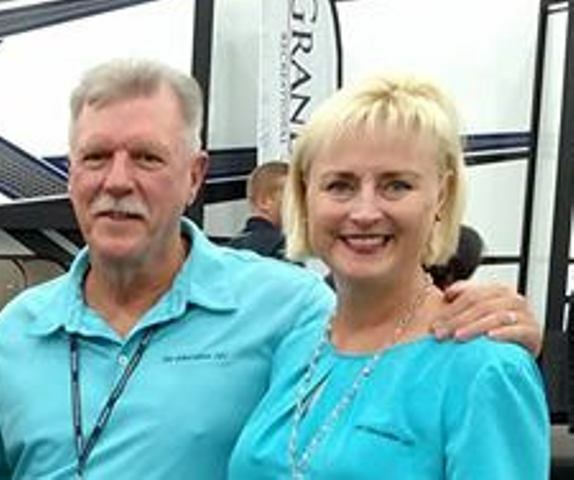 RV dealers and RV manufacturers alike are motivated to make a deal and move inventory from their lots. And interest rates are continuing to fall. If you have good credit, your job is not compromised by the current recession, and you are considering purchasing an RV now would be the time to do it. When I was a sales and finance manager for an RV dealership I got asked lots of questions about financing RV’s. I organized some of those FAQ to assist you with questions you might have about financing your next RV. Before I go any further I want to make it clear that some of this information may have changed due to how banks are conducting business since the banking industry collapse, and because it has been over a decade since I worked for an RV dealership. With that said here goes. Will one RV lender offer better interest rates than another RV lender? Interest rates change frequently. If the prime rate goes up or down, RV finance rates will follow respectively. RV lenders send updated rate sheets to RV dealers whenever their finance rates change. RV specialty lenders watch each other closely and if one lender lowers rates the other lenders will generally follow suit. They will usually stay within a quarter to a half point of each other. Yes, there are several factors that will determine the rate you get. 1) It depends if the RV is new or used. A used RV (normally over 3 years old) will get a higher interest rate than a new RV. 3) The term of the loan will affect the interest rate. The shorter the term the higher the rate, the longer the term the lower the rate. 4) The amount financed will affect the interest rate. The lower the dollar amount the higher the rate, the higher the dollar amount the lower the rate. 5) Your credit history (credit rating or score) will affect the rate. The higher your credit score is the lower the interest rate will be. You should be aware of what the current rates are for RV loans, and based on the criteria listed determine if you are getting the best possible rate you can get. If you think you qualify for a lower rate, by all means try securing a better rate elsewhere. There are several RV specialty lenders that would like your business and will offer competitive rates. Do not however let too many lenders run a credit check to try and get a lower rate. This can backfire so be selective about who, and how often your credit is being checked. The term of the loan will be based on the dollar amount financed and the age of the RV. Some RV lenders offer 20 year loans on new RV’s with financed amounts over $100,000 and loans ranging from $25,000 to $99,000 normally qualify for 15 year loans. Loan amounts between $10,000 and $25,000 may qualify for 10 to 12 years loan terms. Nobody wants to, but the biggest advantage of a long term loan is you get a lower monthly payment. For example, financing $100,000 for 240 months at 7% interest would be $775 a month. The same loan for 120 months would be $1,161 a month. You save almost $400.00 a month. But keep in mind you will have little or no equity if you try to trade within the first several years. Subprime lending is what got us where we are today! RV’s are considered a luxury item, so the criteria to finance an RV are more stringent than it is to finance an automobile, especially since the banking industry meltdown. Yes, a fully self contained RV is considered a 2nd home and the interest paid is deductible, if you are not already deducting the interest on a 2nd home. At the time I wrote this an RV is considered a qualified residence if it is one of the two residences chosen by the taxpayer for purposes of deductibility. To qualify it must provide basic living accommodations; meaning it has cooking, sleeping and bathroom facilities with fresh water and waste water holding tanks. 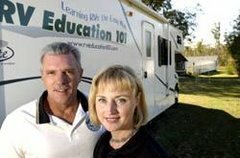 Talk to your tax advisor about what is required to write the interest off on your RV. Down payments vary between lenders but 10 to 20% down, in the form of cash or a trade-in, is usually the range. There used to be programs that offered low down, or no down payment but these programs increase the interest rate. Most banks want to see your good faith commitment to the loan.